The singer spoke about his next project at a joint press conference in London and New York, where he confirmed that he will embark on a huge three-year tour called the 'Farewell Yellow Brick Road' tour. 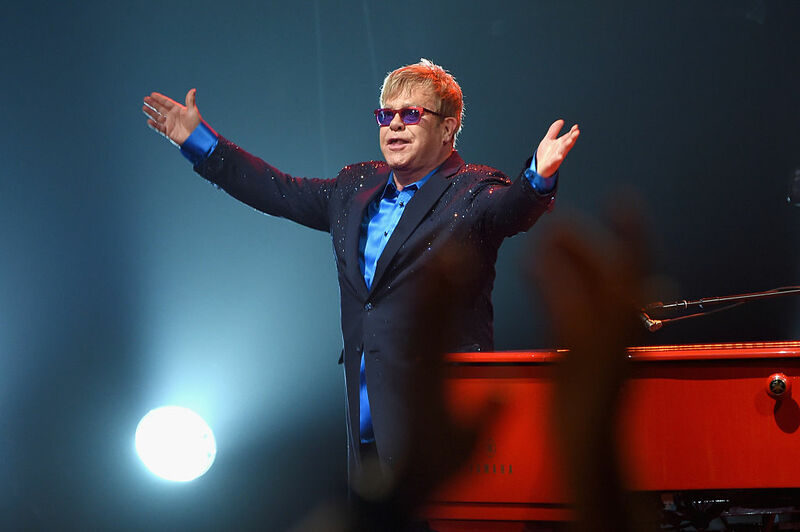 Elton explained that he now has different "priorities" since becoming a father, and wanted to go out with a bang by thanking his fans around the world until 2021. It will kick off in the States in September, with full dates available at Elton's official website. Elton is not planning on retiring altogether, and he added that he still hopes to be making music for many years to come. He said: "I'm not stopping music. I'll hopefully be making more records. I'll be writing more musicals. But mostly, I'll be taking my kid to soccer academy - which is the most important thing." "I always thought I was going to be like Ray Charles, BB King - on the road forever," he continued. "My priorities have changed. We had children and I changed our lives. That doesn't mean to say I'm not going to be creative. but I'm not going to travel." He also denied reports in the press that he was retiring due to poor health. "Last year I picked up an infection and I was very ill and it knocked me sideways. But I still did 96 shows. Believe me - if you ever do 300 shows, you're not in ill health." Last year, Elton said he planned to make a decision about his touring future in "the next six months". He said: "There will be a decision made in the next six months, probably. I will want to stop touring - not playing, but touring. 70 isn't 60, it's not 50. I want to spend time with my boys."